YOUR CHANCE AT HISTORY WITH THIS RESTORED GEM LOCATED IN THE HEART OF ST. LOUIS. THIS HOME HAS TONS OF OPEN SQUARE FOOTAGE AND HAS BEEN GONE THROUGH AND POLISHED UP. CURRENTLY A 3-4 BEDROOM AND 3 BATH HOME. 1ST FLOOR FEATURES HIGH CEILINGS, LAUNDRY WITH FULL BATH, OPEN KITCHEN INTO THE DINING, HUGE JOINED FAMILY AND LIVING ROOM, AND A STUDY THAT COULD BE 4TH BEDROOM. UPSTAIRS ARE THE REMAINING BEDROOMS COMPLETE WITH HUGE MASTER WITH A STEP DOWN WALK IN CLOSET AND ITS OWN MASTER BATH. OUTSIDE THIS HOME HAS A NEWER ROOF, WINDOWS AND FRESHLY PAINTED. HOME HAS ALSO BEEN GONE THROUGH AND SPRAY FOAMED INSULATION WITH A NEWER MULTI ZONE FURNACE IT IS VERY EFFICIENT FOR ITS SIZE AND AGE. A BIG 2 STORY CARRIAGE HOUSE ADDS TO THE FEEL OF THE PROPERTY AND ITS LOFT IS PERFECT FOR STORAGE OR A FUTURE GAME ROOM. SIT ON A PATIO OVER TOP THE RIVER, WATCHING WILDLIFE OR A BASEBALL GAME ACROSS THE RIVER. 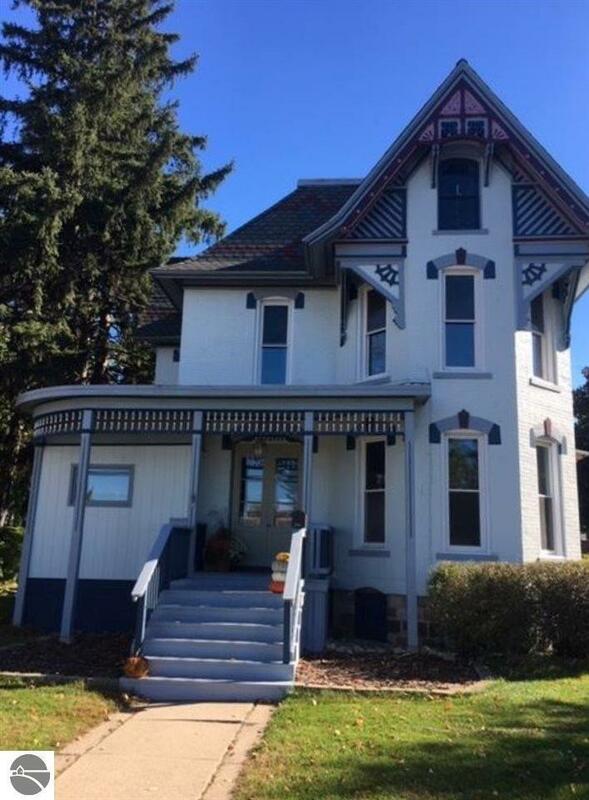 THIS ONE HAS IT ALL, AND IS READY FOR YOU TO CALL IT HOME AND CARRY ON THE HISTORY.